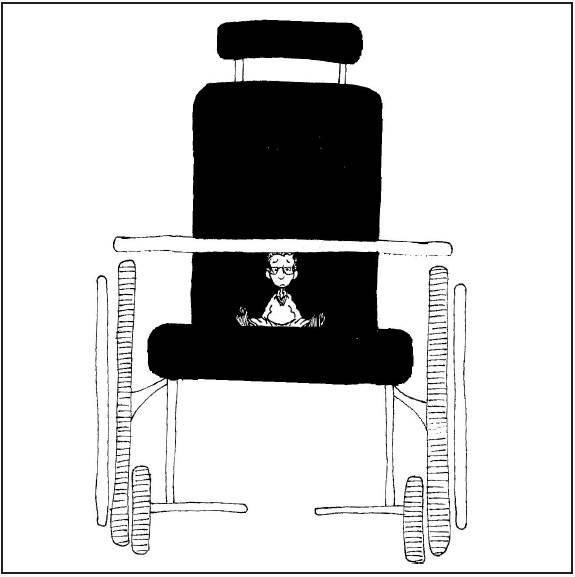 Myths and misconceptions about disability are common. These incorrect assumptions are often triggered by fear, lack of understanding and/or prejudice. Myth: A person’s disability defines who they are as an individual. People with disabilities are like people without disabilities. People get sick on occasion or sometimes may be in pain. People with disabilities typically do not suffer or experience pain due to their condition. 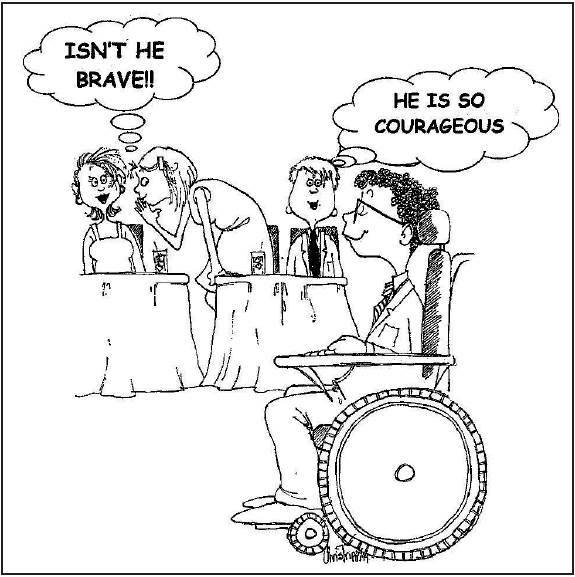 Myth: People with disabilities are brave, courageous and inspirational for living with their disability. Myth: People with disabilities are special and should be treated differently. 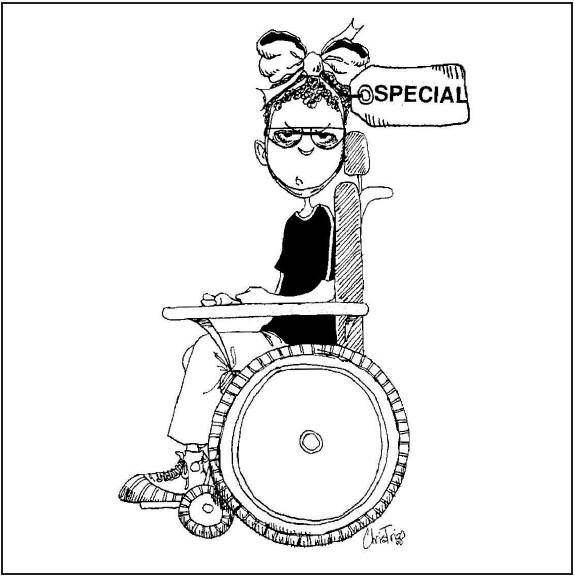 The label of “special” in reference to a person with a disability does not convey equality. Expectations for success should not be underestimated to accommodate the “special” label that is associated with people with disabilities. Myth: People with disabilities are dependent and always need help. 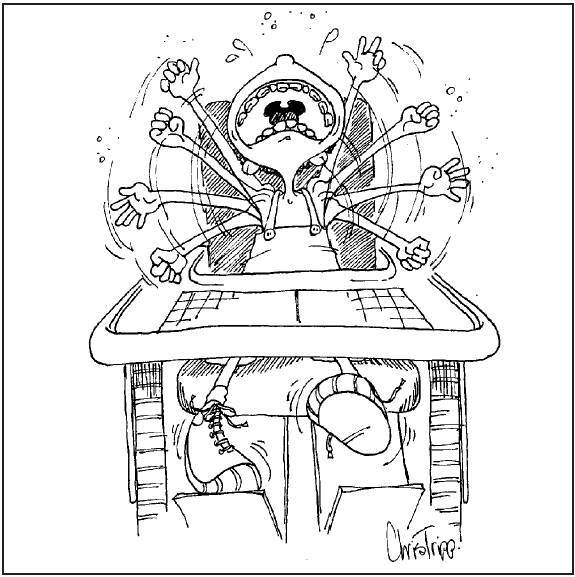 All of us may have difficulty doing some things and may require assistance. 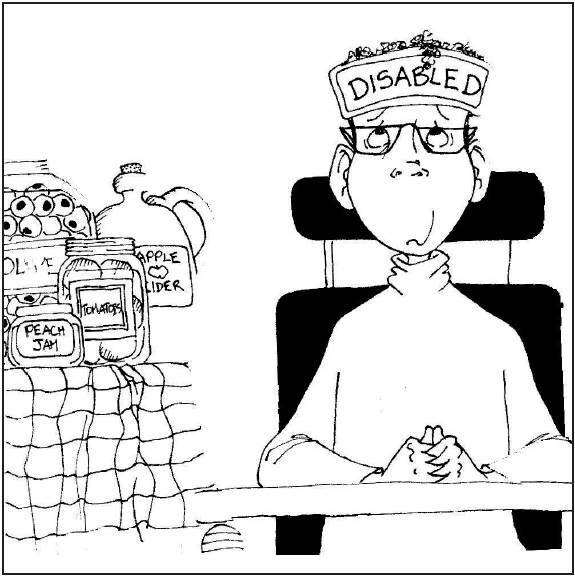 People with disabilities may require help on occasion; however, disability does not mean dependency. 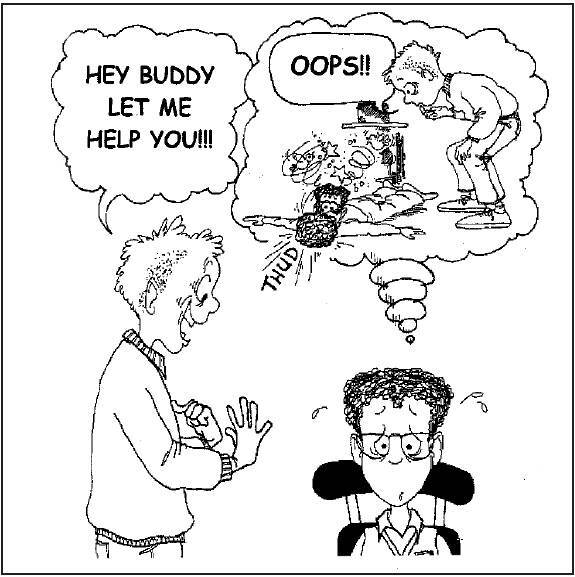 It is always a good strategy not to assume a person with a disability needs assistance. Just ask! Myth: People with disabilities cannot lead a full and productive life.